So, you drive a sedan or you are looking to buy one. Practicality is your middle name! Sedans have been the most popular choice over the years for many reasons: they’re affordable, dependable, fuel-efficient… the list goes on and on. 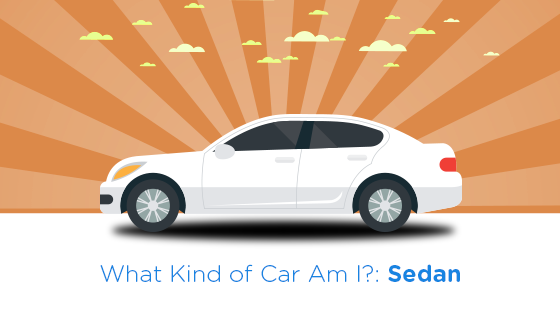 How do you know a sedan is for you? Let’s look back at that priority list of yours. Is affordability higher on your list than style? Are having four doors a necessity? I bet safety is definitely a priority of yours, too. A sedan checks each one of these off your list! Don’t get me wrong, there are plenty of stylish, eye-catching sedans out there on the market–it just depends on what kind of look you’re wanting! If you were asked to draw a car right now, I bet you would naturally draw a sedan without even thinking about it! They are such a classic vehicle style, you can’t go wrong. Perhaps they’re not as adventurous as other body styles out there, but they get the job done. Some of the most compelling reasons for this vehicle’s popularity are affordability and safety. Its low height to the ground creates a steady centered gravity, heightening the car’s balance. If you’re a worrier, a sedan is for you. In recent years, crossovers and SUVs have given sedans a run for their money–but the classic vehicle still reigns in popularity. When compared to its competitor, sedans outshine the SUV in many ways. They are less prone to tipping or rolling over, better at acceleration and braking due to its lighter weight, better fuel economy, cheaper maintenance… the benefits of a sedan are almost endless. The biggest reason most would choose an SUV over a sedan is space. Redesigned sedans now offer plentiful head and legroom and boast roomier interiors, but they still can’t compete with the cargo capacity of an SUV. You’d be surprised how much you could actually pack into the trunk of a sedan, but if you’re in need of that occasional third row of seats, a sedan won’t help you there. If you are a practical, money-conscious individual, then a sedan is calling your name! This affordable, reliable, fuel-efficient body style will save you money in the long run and keep you safe on the road over the years! You truly love driving, just for the sake of it. You have a need for speed. Power and performance are your top priorities. You, my friend, are a sports car! Sports cars are known for their stylish looks and 0-60 specs. 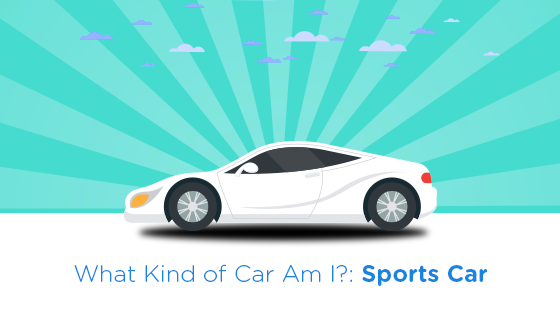 By definition, sports cars are low-built, two-door, two-seat, automobiles built for high speeds. From the classic Chevrolet Corvette to the Toyota 86, almost every manufacturer has a sports car as a part of their fleet–and for a good reason! Since the dawn of the automobile industry, people have always been striving for faster speeds and stunning looks. Let’s unpack more details of this iconic body style. Design is so crucial to a sports car. A front engine, rear wheel drive layout is common to most sports cars that you see. Sleek, sharp, aerodynamic lines are seen on the exterior while a smooth, stylish, luxurious look is seen on the inside. Those looking to buy a sports car usually aren’t setting out to drive across the country in them, but you could! Depending on the make and model you choose, their mile to the gallon isn’t too bad! Ranging from 15 mpg to 30 mpg, fuel efficiency usually isn’t a sports car’s top priority, but the automobile industry has seen worse! When it comes to maintenance costs, sports cars see a variety. Yes, some have jaw-dropping expensive upkeep, while others are much less costly. Sports cars aren’t always this luxurious, unreachable expensive dream car. There are plenty of more affordable options out there, it just depends on how expensive your taste is! If you’re thinking about driving a sports car, you definitely need to take your current lifestyle into consideration. Sports cars definitely aren’t the practical, family-friendly car choice. So, if you’re one that’s constantly helping friends move or carpooling every weekend, a sports car might not be the smartest choice for you. But don’t let that stop you! If you’ve had your heart set on an iconic, speedy sports car and are looking for a big change, then go for it! Sports cars are for the car enthusiast that’s focused more on the journey than the destination. If this sounds like you, put your pedal to the metal and drive on! What Kind of Car Am I? Compact Car! When starting your search for the perfect new car, consider this advice I once heard: start small! Start by looking at smaller sized cars and work your way up. If you find that you’re enjoying the vehicle choices within this small category, then a compact car is perfect for you! Let’s delve into the details of this body style. While small by definition, compact cars are continuing to see roomier interiors and increased comfortability, making them much more of a competitor against larger, pricier options. If affordability and efficiency are high on your priority list, then keep reading–a compact car is calling your name! Compact cars are category that encompass more variety. From the Chevrolet Cruze to the Nissan Sentra, there are countless choices for you to choose from! 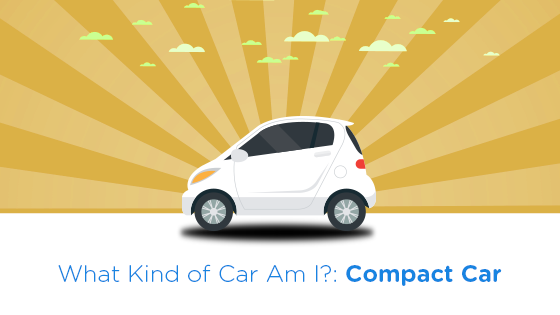 As its name implies, compact cars are known for their small size. This car is best for those not needing as much seating or cargo capacity. The smaller size makes these cars great for city driving–especially in those crowded parking lots! 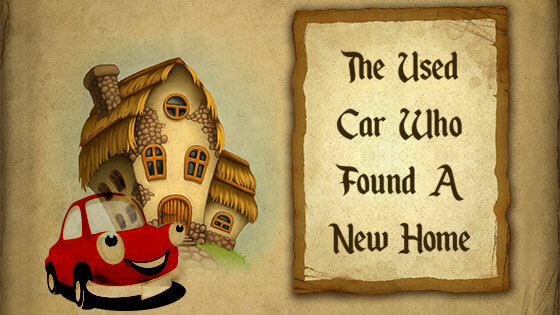 You won’t have to question if your car could fit, one of the many benefits of a compact car! From their affordable purchase price to their great fuel economy and high resale value, there are many reasons why you’re seeing compact cars on the rise. If you are a commuter, do a lot of city driving and cost efficiency is a top priority, you’ve met your match! A compact car can be versatile, but you will reap most of its benefits among the city. In summation, a compact car is the perfect choice to simply get you from point A to point B. What does driving this vehicle say about you? Well, it says you are a sensible, logical, safe individual. You care more about your destination than the journey it takes to get there. Plus, you’ve saved money on your vehicle, so you have more to spend elsewhere! What Kind of Car Am I?! Minivan! Accommodating, convenient, comfortable. No, I’m not talking about Starbucks–I’m talking about minivans! If you are thinking about driving this vehicle, chances are you are a parent, or an aspiring one. Don’t let that narrow this vehicle’s audience, though. A minivan’s obvious draw is its seating capacity. Do you consistently need to drive around five or more people? Then it sounds like you need a minivan! Minivans fit an obvious lifestyle. However, many with larger families tend to be reluctant towards driving this vehicle due to its stereotypes or unique style. If you fit this driver profile, don’t stop reading! I’m here to brag about this vehicle and tell you why this is the car you should be driving! Yes, there are SUVs out there that can carry the same capacity as a minivan, but they don’t offer all that a minivan can. Between its automated doors and an aisle between the seats, these features alone will improve your life with your passengers. Just imagine it: when you occasionally have to squeeze yourself into a parking spot and your hands are full, you’ll be so thankful for those automated sliding doors that your kiddos can open with the push of a button! I’ve heard countless stories of families wavering between a large SUV or a minivan, and in conclusion, an SUV simply can’t top the minivan’s comfortable interior and convenient features. Here is where making a priority list is pivotal. At the end of the day, minivans lose most of its potential buyers due to its style (or lack thereof). But, let’s take a look at that priority list of yours. Is family #1? How about safety? Maybe comfortability? I bet fuel efficiency is high on the list, too! 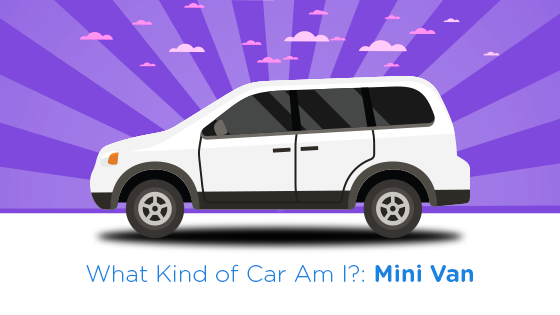 If you answered yes to all of those questions, then a minivan is for you! Don’t deny it, just give in. If the only cons you can think of are that you don’t like the way a minivan looks, or you don’t want to be a cliche and fall into the stereotype that many generalize this vehicle with–just take a look at that priority list of yours again! Think about what you want and what you need, because those are two totally different things. If you have needs that would benefit from a minivan, then what’s stopping you?! Modern minivans have just as many exciting features, if not more, than their competitors. If you are an inclusive, confident, practical, family-oriented human, then a minivan is just the car for you! My advice to you, is don’t judge a book by its cover. Drive a minivan, and drive it proud! What Kind of Car Am I? Hatchback! Take a four-door sedan style car, add a fifth door to the rear, and you have a hatchback! Hatchbacks have grown in popularity recently. Their fuel efficient costs, smaller size, increased cargo capacity and flexible interior are just a few of their many popular benefits and features it consists of. If you’re wavering between a sedan and an SUV, a hatchback might be the perfect compromise for you! They offer a smaller body style like a sedan, but include larger cargo space like an SUV! Here it’s almost like the best of both worlds, you get SUV-like space without the compromises of fuel efficiency. Hatchbacks are often compared to the station wagon as a competitor. But, hatchbacks boast a much sleeker, modern design style. However, the hatchback’s style seems to either be a pro or a con subjective to the shopper. So, you decide! With hatchbacks, you’re getting a bargain for your buck! Not only does the hatchback offer you an envious mile to the gallon, but its resale value is unmatchable to its sedan competitor! 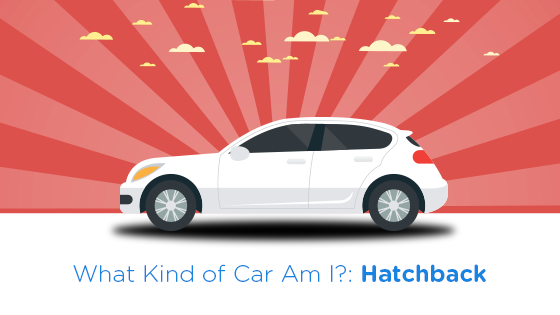 Hatchbacks retain an impressive percentage of their value through the years. Needless to say, not only are hatchbacks are an excellent cost-effective car choice, but also a wise investment in the long run! From the Hyundai Veloster to the Chevrolet Spark, your favorite manufacturer has a hatchback model to offer you. So, if your priority list includes versatility, cargo space, fuel and cost efficiency–than a hatchback should be a strong contender for you! Whether you’re an adventurous spirit clammering for your next road trip, or you’re a commuting father of two, a hatchback is the perfect car for a wide variety of people! Test drive a hatchback today, but be careful, you just might drive away in it! What Kind of Car Am I? Hybrid! When someone says hybrid, the first thought associated with this vehicle is usually its eco-friendly stature. Which is a great first impression to make! Hybrid vehicles have countless benefits.. Keep reading to see if this is the perfect car for you! A lot of car buyers rule out hybrids right off the bat because they don’t think there’s a model that fits their needs. That’s where they’re wrong! Nowadays, you can find a hybrid version of almost every model vehicle you could think of! It has become less of a rare breed and more of a beneficial trend! From sedans and SUVs to hatchbacks and minivans, there is a hybrid out there for almost everyone! Don’t believe me? Just take a look at the Top Consumer Rated Hybrids of 2017! 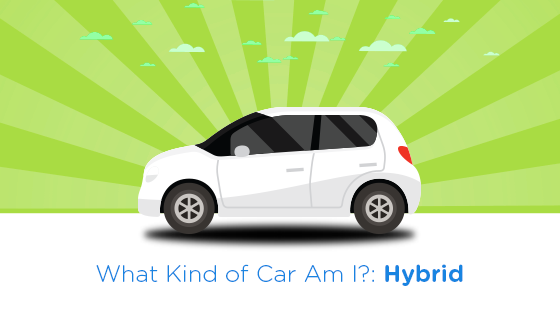 You hear “hybrid” all the time now, but maybe you don’t actually know what a hybrid car consists of. Let me give you a crash course! Hybrids have a gasoline engine and an electric motor. Don’t get them confused with electric cars. Hybrids still require visits to the gas station, but utilize their electric component by collecting and reusing energy in the vehicle that would normally go to waste in a regular car. With this mix of the two systems, you get a hybrid! Within this hybrid realm are different types of hybrids. If you decide this style of car is for you, next decide which type of hybrid matches your lifestyle best. Then you can narrow down your decision to the different makes available in that style! If you’re an environmentally conscious and proactive individual with fuel efficiency high on your priority list, then a hybrid car is for you! While the hybrid version of that car you love might be a tad pricier, going the hybrid route will become the smarter financial choice in the long run. The miles per gallon in hybrid vehicles range from around 25 mpg to over 100 mpg! Just imagine how much more for your dollar you’d get at the gas station! While hybrid cars come jam-packed with tons of benefits, this style of vehicle may not be the best decision for everyone. If you find yourself driving mostly at high speeds on the highway, you won’t experience as many of the benefits that come with a hybrid. And, gas savings can sometimes take years to add up and compensate for the original purchase price of your hybrid. So, if these scenarios coincide with your lifestyle, or maybe you’re just not as patient of a person, perhaps a hybrid is not the best choice of car for you. If you can get upwards of 70% better gas mileage in a hybrid compared to the mpg in a regular car, why not?! Don’t stop yourself by thinking it takes a certain kind of person to drive a hybrid. Yes, buying a hybrid can be a costly original purchase, but if this car is one you plan on driving for years, it will pay off in the long run, trust me! What Kind of Car Am I? Truck! Trucks are some of the most self-explanatory body styles out there. While you can drive a truck in almost any environment, one’s lifestyle usually is a heavy factor into choosing a truck as their preferred mode of transportation. Maybe you really do need all of that cab space, or maybe you just like the look of it–whatever your reason, a truck is a definite reflection of the driver’s personality. If you live in a sea of smart cars, don’t let that stop you from driving a truck! No, it obviously isn’t the most practical choice for that environment, but your car is an extension of you–let your personality shine! Trucks are also extremely practical, whether the vehicle is a necessity for your job or it helps you fulfill your hobbies on the weekend, a truck has many benefits. It is just more dependant on your environment you live in and the lifestyle you lead. Trucks have an obvious list of pros: powerful engines, tons of storage, towing capabilities, durability, safety, and so on. A trucks safety coincides with its size (most of the time). When in an accident, the bigger vehicle is more likely to suffer less damage than the smaller vehicle. But, like I’ve said before, a vehicle’s safety is dependant upon the driver. With every pro list comes the cons: trucks offer less seating space, can be difficult to maneuver and are not as fuel efficient. The #1 complaint when it comes to trucks usually relates to their gas guzzling reputation. Whether it’s a compact truck or a full-size, extended cab truck, its mpg remains a hot topic. Let’s not jump to stereotypes here, though. Trucks have come a long way in the benefits they have to offer! You’d be surprised with what mpg some of the models get. Just take a look at this article, I bet some of these trucks on the list get a better mile per gallon than that SUV of yours! 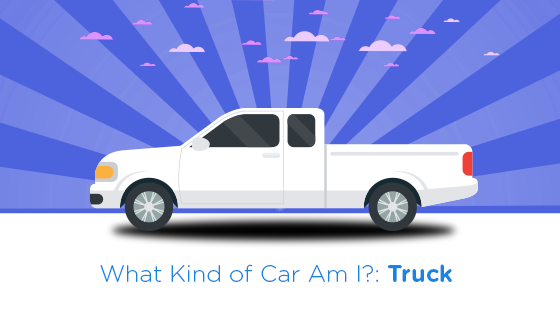 If you’re trying to decide what type of vehicle is best for you, a truck is one of the more straightforward choices. Either you have a job or lifestyle that points you in the direction of actually needing to drive a truck, or, you’re an adventurous, extroverted, outgoing individual that simply loves the aesthetic of a pick-up. So, you’re looking to get a new car. When you’re surrounded by hundreds of cars every day, it can become easy to feel swamped with all of the makes and models that exist. That’s why I’m here to help! The perfect car is out there for you, you just have to find it! Narrow down your choices by deciding which body style is the best for you. This decision alone has many tough factors to compare, which is why this series is here to help you find your perfect match! 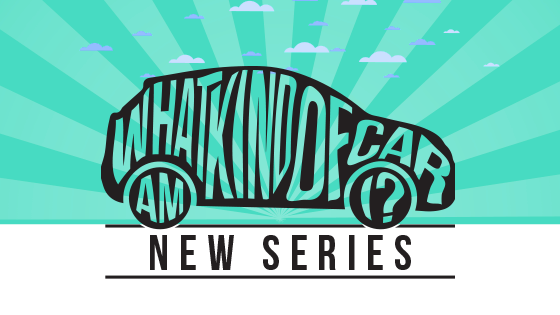 From SUVs to sedans, by the end of this series, you’ll know you’ve found the one. There are tons of factors that weigh into your decision of which car to buy. There is the car you want, the car you need, the most practical car, the most rational car… the list goes on and on. I’m here to tell you to take a step back, breathe, and take a look in a mirror. What type of car are you? Look at all the body styles available and answer the question: which one matches your lifestyle best? Make a goal for this new car of yours. What is it that you’re setting out to do in your new ride? Are you carpooling a soccer team around? Commuting to work? Whether you’re looking to reduce your carbon footprint or simply make a statement with your car, these are questions you need to start out asking yourself. Figure out which style matches you best by making a goal for yourself. These goals you set coincide with the type of lifestyle you’re leading. You need a car that will match your lifestyle best, and in turn will become a reflection of you. Your wants and needs can be two totally different things, so really think about what body style will suit you best, and then narrow down your car search from there. You need to prioritize yourself. You’ve set your goals, analyzed your lifestyle, but maybe you’re still stuck. What is most important to you? Size? Safety? Let me go ahead and debunk the myth that the larger the car, the safer it is. Your safety in a vehicle starts with you and the way you handle it. Don’t be deterred from a convertible if that’s what you’ve had your heart set on, just be a responsible driver. The safest collision is the one you avoid. So, don’t let the size of a car limit your search. If you commute an hour into the city every day, a giant pick-up may not be the smartest decision for you. So, this is where prioritizing comes in. Perhaps fuel economy isn’t your priority, and that’s OK. The moral of the story here is to find the car that will make you happy. 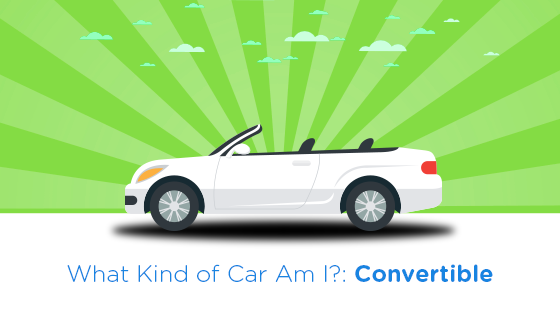 If you’re just looking for a cheap ride to get you from point A to point B, I promise there’s an affordable used car out there that will mesh well with your lifestyle. Don’t feel like you have to settle. Put a little effort and emotion into your car search, and I promise you’ll end up happier. Find that one that matches your lifestyle best and you’ll be set!